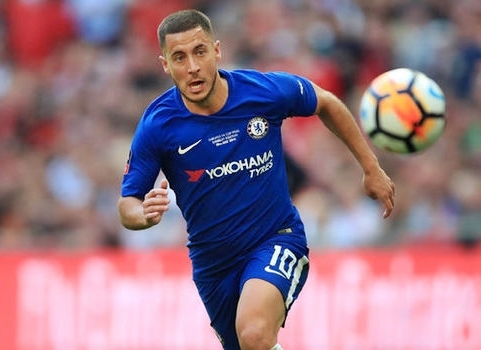 Real Madrid manager, Zinedine Zidane, has already held talks with Eden Hazard and the Chelsea forward has agreed to join this summer, Sport reports. Hazard has made no secret of his desire to play for Madrid and has often spoken about his adoration of Zidane. The Belgian will have just a year remaining on his current contract with the Blues at the end of this season and has refused to agree fresh terms so far. It is now understood that he has now agreed to join Madrid, with Zidane’s return to the Santiago Bernabeu a key factor in his decision. Hazard has said ‘yes’ to a five-year contract with Madrid and will become the club’s highest-paid player. Chelsea, however, have set a £98.5million asking price for Hazard and are reportedly open to selling the 28-year-old.